Monitoring for WBC adults continues across Ohio with trap counts slowly increasing for July 1 through 7. Last week, 21 counties monitored 61 traps (Figure 1). Overall across all locations, there was an average of 3.4 moths per trap (217 captured). This is an increase from an average of 1.2 moths/trap the previous week. 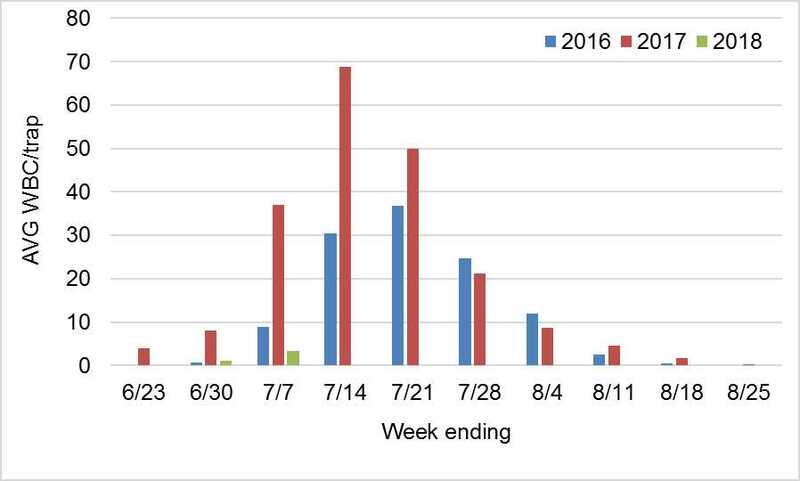 The general trend of WBC trap catches appears to be similar to 2016 where peak flight was the third week in July; however, average trap numbers are currently lower than 2016 (Figure 2). 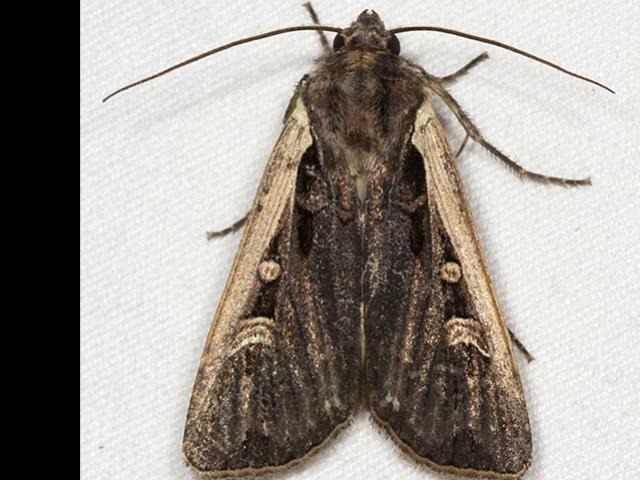 Western bean cutworm adults can peak during any week in July depending on the year. Figure 1. Average Western bean cutworm adult per trap in Ohio counties, followed in parentheses by total number of traps monitored in each county for the week ending July 7, 2018. Legend in the bottom left describes the color coding on map for the average WBC per county. Figure 2. Average Western bean cutworm (WBC) trap counts for 2016 (blue), 2017 (red) and 2018 (green).